Brian Dodson captured this image of the Moon on the 23rd September 2013 at 01:07 BST using a Canon 300D camera attached to the prime focus of his 5" Explore Scientific triplet refractor. The exposure time was 1/640th of a sec. The tones have been enhanced slightly on Registax. 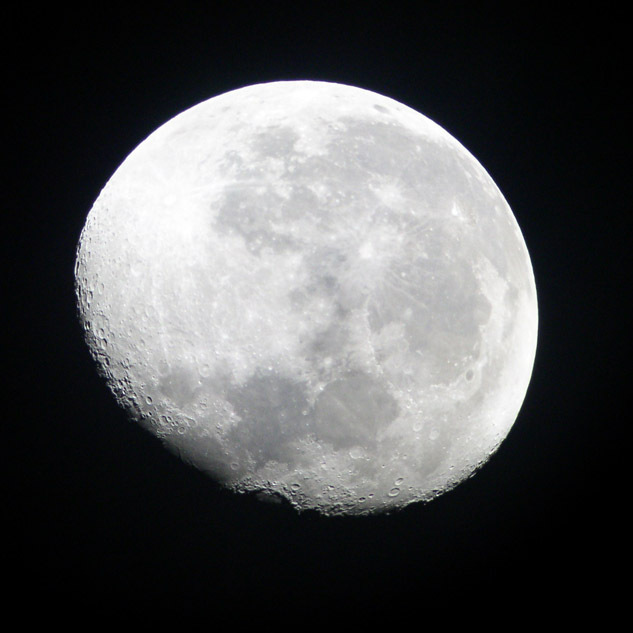 Chris Newsome took this picture of the Moon at around 03:15 am on the 14th July 2006. 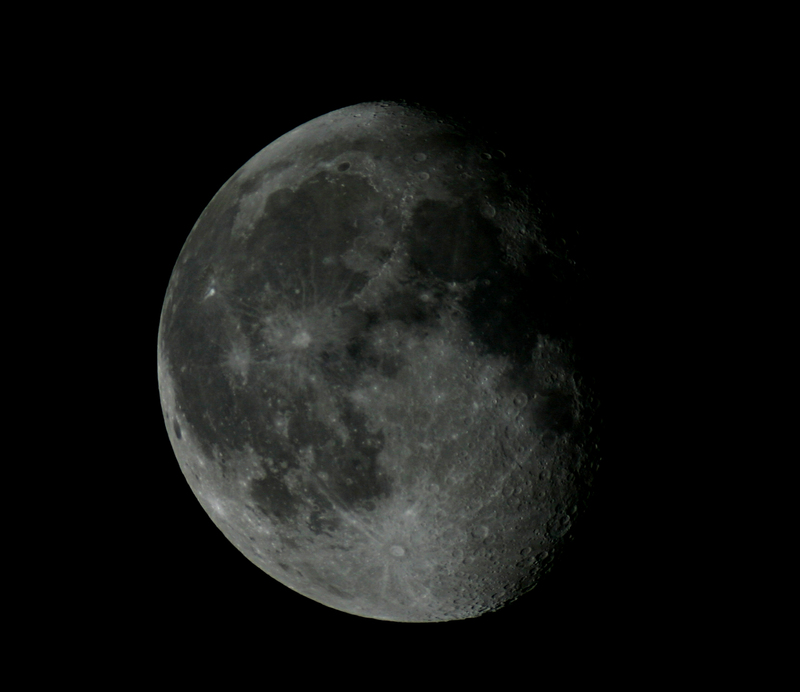 Chris used a Canon EOS 300D camera at the prime focus of a Celestron C8-NGT telescope. The image is composed of ten 1/200th second exposures at 200 ASA (raw format). These were combined in MaximDL, processed in CS2 (greyscale, levels, curves,high passs and overlay) and converted to JPEG. 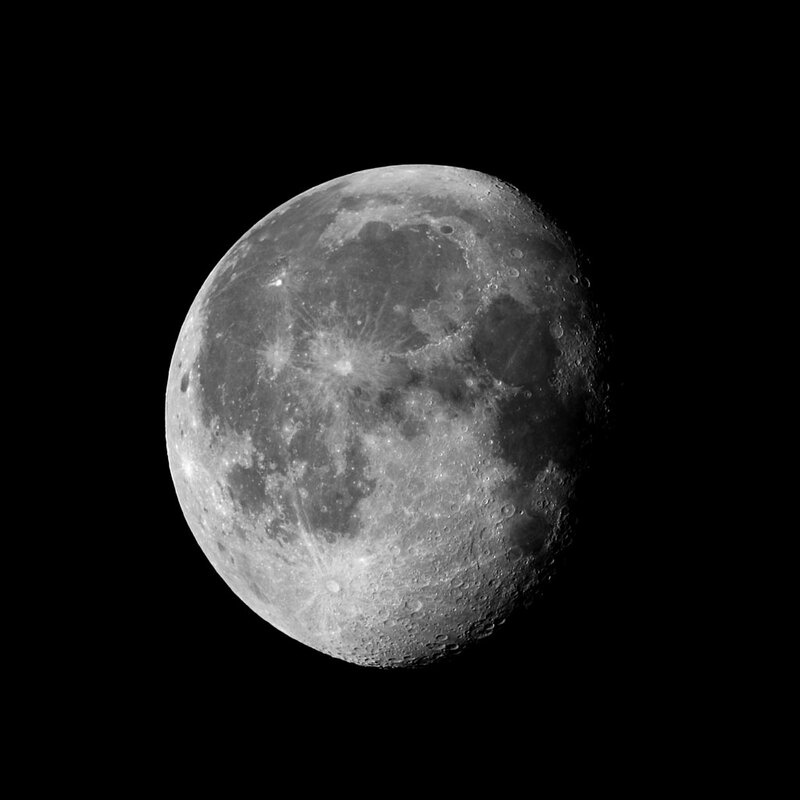 The waning gibbous Moon photographed through the 10-inch f/8 reflector at the Flamsteed Observatory on the 14th September 2003 by Mike Lancaster. An Olympus Camedia C4000Z digital camera was held up to a 40 mm eyepiece using a neutral density moon filter.